Richmond Hill has a population of around 175,000 and is located in York Region. It’s Court house sits in Newmarket on Eagle Street. All personal injury cases commenced in York Region, which include Richmond Hill will be heard at the Court house in Newmarket. Richmond Hill is the home of the Small Claims Court for York Region, which is on Major Mackenzie Drive, at Bayview. 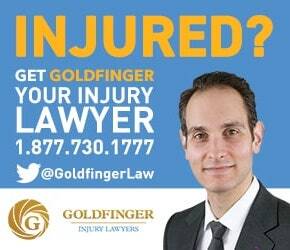 Brian Goldfinger, the directing lawyer of Goldfinger Law has a soft spot for Richmond Hill, having attended high school there in a French Immersion program. Richmond Hill encompassed the communities of Dollar, Langstaff, Elgin Mills, Bond Lake, Oak Ridges. The political structure of the Town of Richmond Hill encompasses 6 municipal counsellors and one mayor. Elections are once every four years. All elected officials in Richmond Hill will serve on York Region’s municipal council. Elvis Stojko, Emmanuel Sandhu, Mike Cammalleri and Farley Mowatt have all called Richmond Hill home.